This book is about pirates, Norman Island, buried treasure and The Treasure Caves. 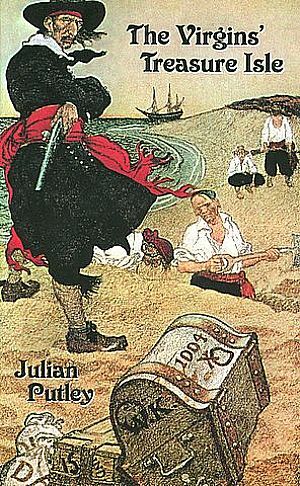 It is a fascinating story of pirates against colonial masters when European nations were battling for supremacy of Caribbean islands and omnipotent Spain was robbing gold and jewels from American indians in the name of Catholicism. There is compelling evidence that Norman Island is the island of Robert Louis Stevenson's "Treasure Island."